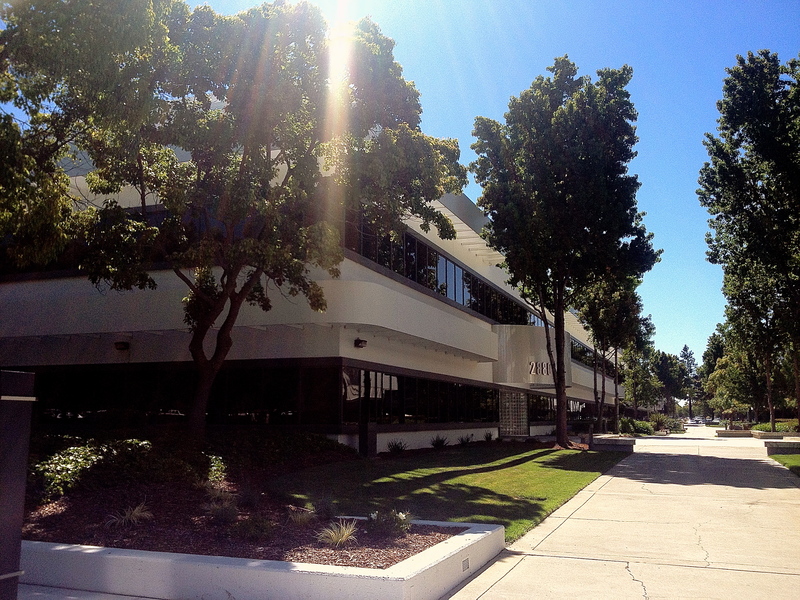 JustWorks is moving to new offices in San Jose on September 15th 2012. Nothing else changes, we still have the same phone numbers, web sites and email addresses. In this new location we are ideally located for access to all customer locations, and for close liaison with our service partner for Northern California, ZAG Technical Services. We have just become acquainted with a great new e-waste organization, GreenCitizen, and want to pass the information on. GreenCitizen is based in San Francisco, with four Eco Centers located around the Bay Area: San Francisco, Palo Alto, Burlingame and Berkeley. You can drop off your e-waste at these Eco Centers any time you like. To help ensure that any data on your hard drives is handled as securely as possible, GreenCitizen offers hard disk destruction services at all of their Eco-Centers. This three-step process starts by tracking each drive down to the serial number. Once tracked, hard disks are crushed using a Department of Defense standard hard disk crusher and then shredded in a certified hard disk destroyer. Upon completion of this process, GreenCitizen will send you a certificate confirming the successful destruction of all drives. When it comes to data security, you can never be too safe – GreenCitizen can help put your concerns to rest! If you have more than 10 items ready to go to e-waste, Green Citizen will come and pick up from you. Just fill out their form online, or call Kevin Landers on 415.287.0000 x102 or email to pickup@greencitizen.com. Rent I.T. v Buy I.T. Why should you rent your I.T.? The need is unknown: either the quantity, the scale or the duration may change quickly. The service is more important and more expensive than the parts, because the parts require specialized knowledge and resources to make them work, and keep them working properly. When you can get a better solution, because you only need part of it. The technology is changing very rapidly, so it is unlikely that you will depreciate the asset before it becomes obsolete. When it comes to investing in computing for business today all of those reasons apply, and that makes renting the best decision today. The challenge that purchasing puts up, is that the timescale for a purchase decision to be effective is longer (typically 4+ years, see chart) than any of the other factors affecting the decision. The effective returns generated by the assets, the rate of technical change, and steep fall off on asset values all make a decision to purchase I.T. now very difficult to justify. A significant unknown for many businesses today is just how much of which kind of technology they are going to need, and for how long. Making a capital investment in a specific technology solution means being stuck with that for at least 3 years, probably 5 years. For most businesses now is a time to be as flexible, nimble and mobile as possible; this is not a good time to be stuck in one position. Renting the right solution for today’s needs leaves a business free to adjust its strategy at short notice, based on changes in the market and changes in technology. Renting also allows much greater flexibility to scale up or down in response to changing conditions. Maybe there’s an opportunity to enter a new market but success is uncertain, or maybe there’s a blip in demand that may not last – these are situations where having access to technology infrastructure that can scale up and down is to your advantage. Investing in computing is so much more than buying a list of equipment and software licenses. The money you spend on I.T. is only worth it if the technology works for you. It’s not just buying the parts, it’s making them work together reliably to deliver your applications to your users, that makes the investment worthwhile. At JustWorks we have spent the last 15 years delivering fixed price I.T. solutions and we know how disciplined, skilled and experienced you have to be to make today’s technology work together as a seamless and reliable system. When the services you need are more expensive than the parts, renting the whole solution makes so much more sense than buying. A JustWorks solution is delivered for a fixed fee that includes all the parts and licensing needed to make it work, and it’s guaranteed to work for that price with unlimited services. Rent from JustWorks and your investment is guaranteed to yield results, and you are not betting your money on some vendor’s marketing spiel. Many smaller businesses can really benefit from the same technologies that only much larger companies can afford, but they can’t justify the expense because of their size. This applies to having the breadth of skills in a team of I.T. professionals, as much as it does to being able to leverage large-scale I.T. infrastructure and management tools. By renting your I.T. from JustWorks you are getting enterprise-class solutions at small business prices. In our datacenters your servers run on our massively-fault-tolerant, very-high-performance infrastructure that uses the same technologies, from the same vendors, in the same datacenters, that the world’s largest enterprises use. Our on-site JustWorks V systems incorporate features and tools that are only possible to integrate because of our Enterprise Partnerships with Dell and VMware. On-site or in the cloud, you get more bang for your buck renting from JustWorks than you can buy. Computing is the most rapidly evolving industry to ever exist. Disruptive breakthroughs continue to emerge, and businesses that can leverage the latest advances before their competitors are more profitable and grow faster. In 2012 the world of business computing is in the midst of the most significant shake-up for a decade. The popularity of powerful phones, tablets and ultra-portable devices has changed the landscape for end users, mostly driven by Apple Computer’s emergence as a dominant force in the consumer technology market. Your ability to adjust to, and take advantage of, these disruptive changes defines the competitive benefit your I.T. investment will give you. Renting your I.T. gives you the flexibility you need to make those adjustments. Contact us today and find out how cost effective renting your I.T. could be for you. You will appreciate having the information.